How Should Outlets Be Installed In The Kitchen? The type of outlets that are commonly questioned is how should outlets be installed In the kitchen. It is very important that the rules below are followed mainly for safety. 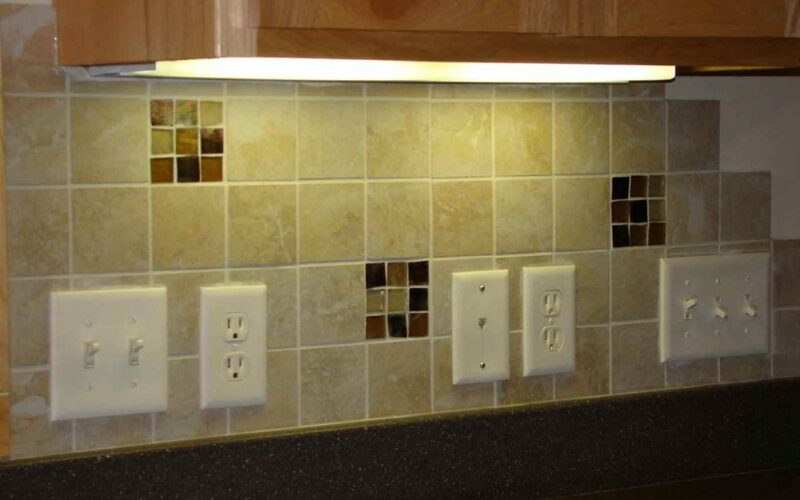 In kitchens and dining areas, a receptacle outlet shall be installed at each counter space wider than 12″. Countertop receptacles shall be installed so that no point along the wall line is more than 24″ measured horizontally from a receptacle outlet in that space and should be supplied with at least two 20 amp branch circuits, for small appliances. Peninsular bars and islands 12″ or wider shall have at least one receptacle. Fixed appliances (e.g. refrigerator, stove, dishwasher, garbage disposal) shall have their own dedicated circuit. All 15 and 20 amp receptacles installed within 6 feet of a kitchen sink or wet bar require GFCI protection. No receptacle shall be installed face up on a sink counter top. Kitchen outlets should be installed with extreme care.